English has a key place in the education of pupils here at St Joseph’s and we are following the demands of the New English National Curriculum. The new National Curriculum has enabled us to evaluate our provision and allowed us to be both more challenging and more creative. ‘The Power of Reading’, an initiative about teaching Literacy through using high quality books and creative teaching approaches (such as art and drama), is the main driver behind our curriculum. 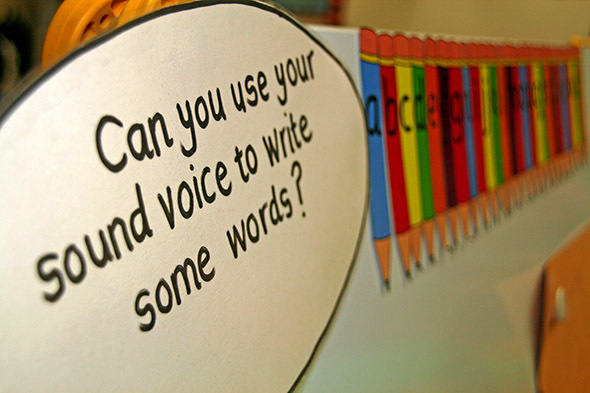 This approach enables us to engage and motivate children in their literacy learning. It also enables children to deepen their understanding of texts, offers extensive opportunities for speaking and listening and provides a meaningful context for writing whilst following the new English program of study. We aim for all pupils to leave us able to write clearly, accurately and coherently. Each half term, children study different genres of writing, considering the different audiences they may be writing for. Teachers skillfully immerse children in these different genres and support them in their planning of their writing. Pupils have the opportunity to apply the skills they have been taught throughout the week with an extended writing session on a Friday through ‘Big Writing’. Writing is not, however, solely a focus in literacy lessons, but children also have planned opportunities for extended writing in other subjects such as RE, topic and science, where, using their skills and understanding of the different styles of writing, they can apply them in context. Handwriting is rigorously taught throughout the school focusing on pre-cursive letters in EYFS and developing to cursive script. Reading is an important part of our curriculum and to support our renewed commitment to the new English Curriculum, all teachers dedicate time daily and weekly to teaching this invaluable skill. ‘Readers’ Theatre’ is another literacy initiative which we embrace at St Joseph’s. This gives children the opportunity to perform their poetry and other text excerpts. Through all lessons, not just English lessons, children regularly use and develop their speaking and listening skills in a variety of independent, paired and group activities. We place a huge emphasis on this particularly in the Foundation Stage, where children develop those skills at an accelerated rate. The teaching of phonics (Letters and Sounds) is an important part of our literacy learning and this is covered extensively across the Foundation Stage and Key Stage One. Once the children know the sounds different letters and groups of letters make, they are far more able to decode (read) and blend (spell) words. By the end of Year 1, all children sit a statutory test in phonics. Through the combined approaches of innovative teaching programs and strategies, we aim to increase children’s enjoyment of reading and writing and continue to raise achievement.